The first whisper of what would become Westside Unitarian Universalist Congregation began in 1959 when a former member of University Unitarian Church moved to West Seattle and joined with two fellow Unitarians, meeting in each others homes for several years. 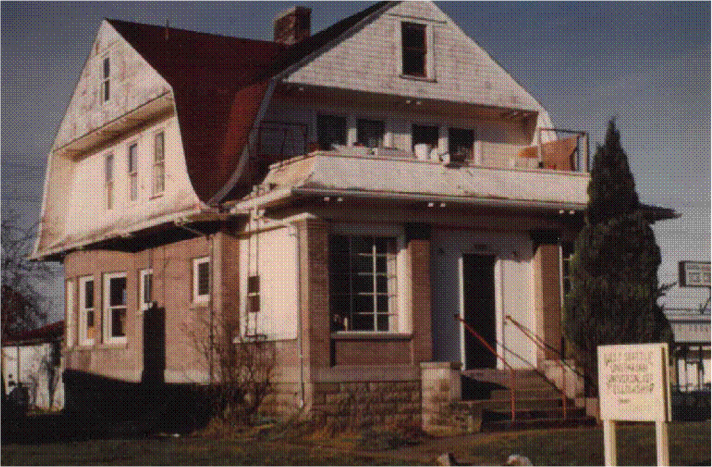 Sharing values and intelligent conversation with a strong emphasis on social justice, membership in the fellowship grew and in 1963, a large house in the Admiral District of West Seattle was purchased by the members as their meeting place. By 1974, reflecting the changing mores of our country and the general upheaval in the world, membership had dwindled and the house was sold. 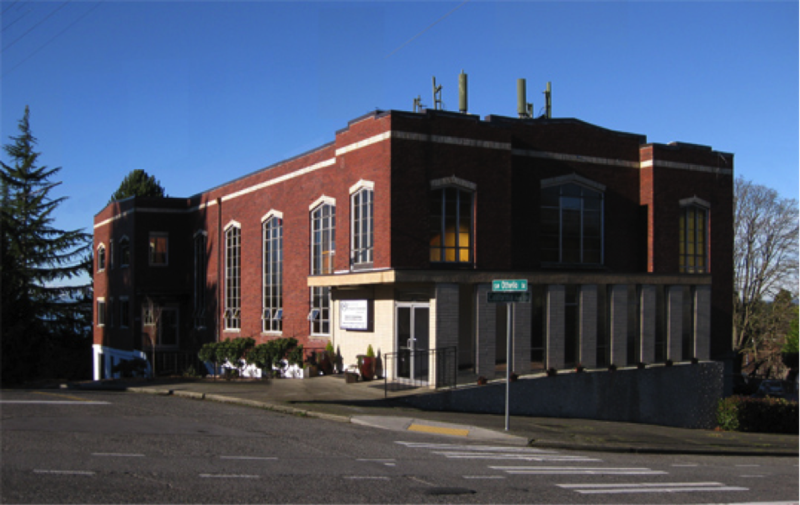 The Westside Fellowship met in the YWCA and member homes until 1989 when new congregational leadership moved services to the basement of the Alki Masonic Temple. A minister was invited to fill the pulpit once a month, a music program was developed and religious education served about six children. For the next 13 years, as the congregation grew, ministers were called to serve quarter time, then half time. Committees were formed to provide the services needed by an increasingly vital congregation and a consulting choir director helped to invigorate the music program. In the spring of 2002, Reverend Peg Morgan was called as our new minister and as the congregation grew, she moved from half-time to a full-time position. Other staff positions were also added such as an Administrative Assistant, Music Director and Religious Exploration Director. As growth continued, the need for a larger meeting space became obvious. In 2010, through the generosity of the members, the congregation purchased the current building and land at 7141 California Ave SW.
Also in 2010, members of Rainier Valley UU joined the Westside UU Congregation, bringing with them their passion for justice, music and Unitarian Universalism. Growth and vitality brings change. In 2011, Westside UU was named a Breakthrough Congregation by the UUA, an award that honors congregations that have overcome big obstacles. In 2014, Rev. Peg Morgan retired and became our Minister Emeritus. In the meantime, our congregation is being served by our interim minister, Reverend Alex Holt.